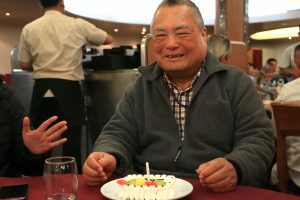 Birthdays are a big thing to many people. 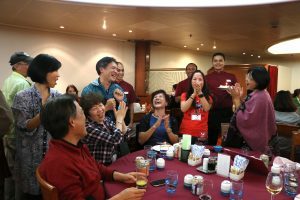 Many passengers have celebrated their birthdays onboard with their new friends and family. 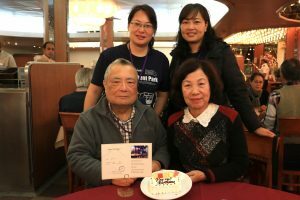 Mr. Lin from Taiwan celebrated his birthday with his family onboard. 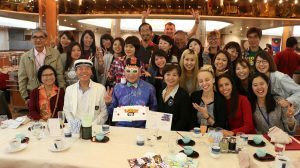 Chris, from the U.S.A. invited all the friends he made onboard to join his birthday party. Over 35 people attended. 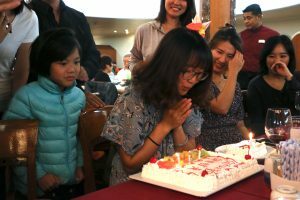 Ms.Bai, from China ordered a special birthday cake for herself. 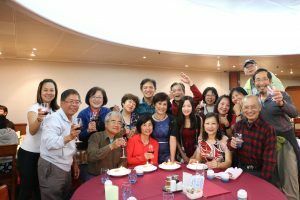 Taiwanese passengers who have birthdays in July all celebrated together. 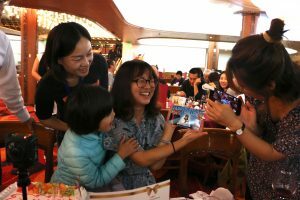 A birthday card from Peace Boat. 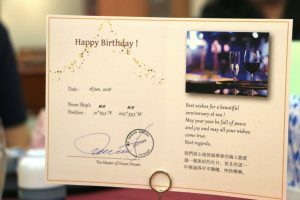 The most special part is that contains the coordinates of the ship’s position on the day of your birthday!